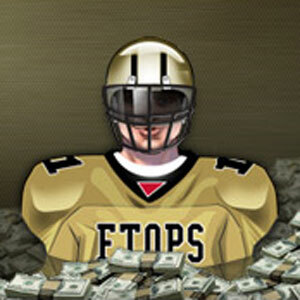 Full Tilt Poker is getting ready to hand out some more gold football jerseys. The Full Tilt Online Poker Series is cranking up again in a few weeks. The cards will be in the air on November 10th and the 34th and final event, the $600+$40 Main Event with a $3 million guaranteed prize pool, closes the series on November 21st. This is 18th installment of the FTOPS and Full Tilt is set give away more than $19 million in guaranteed prize money. The Full Tilt pro hosts have yet to be announced and four events don’t even show what game they’ll be spreading in the schedule. For all those Rush Poker fans out there, FTOPS is serving up seven Rush events. This news coming right after Full Tilt began beta testing Rush Poker for mobile devices. Satellites are currently running, so get your FTOPS XVIII seats now!